Brendan Caldwell is the President & CEO of Caldwell Investment Management Ltd (“CIM”). The mutual funds for which Brendan acted as lead portfolio manager have won 5 Lipper Awards for CIM in recent years. He is also co-portfolio manager of Caldwell’s major exchange related investments, including Urbana Corporation and the Caldwell Growth Opportunities Trust. Brendan earned his B.Sc. from Trinity College at the University of Toronto in 1991 and his M.A. in English Literature from the University of London, England, in 1992. Brendan has held his Chartered Financial Analyst (“CFA”) designation since 1995. Brendan is a Fellow of the Canadian Securities Institute and a member of the Toronto Society of Financial Analysts, as well as the CFA Institute. 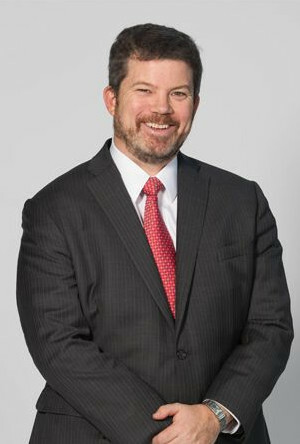 Often interviewed for his insights into current economic issues and in regards to Caldwell’s role as an active investor in global securities exchanges, Brendan is a regular financial commentator and an industry consultant on numerous media outlets. Brendan is the Honorary Lieutenant-Colonel of the Queen’s Own Rifles of Canada, our nation’s oldest rifle regiment. He is a member of the Church of Messiah, the Institute of Evangelism at Wycliffe College, the Corporation of Trinity College, Upper Canada College Council of 1829, the Board of Trustees of the Bishop Strachan School and the Campaign Cabinet for Neshama Playground, Canada’s first accessible playground for children with all abilities. Brendan is a Director of the Caldwell Foundation whose recent activities included a partnership with Free the Children to create the Caldwell Leadership Centre, a base for building schools in Rajasthan, India. Brendan received the Queen’s Diamond Jubilee Medal in 2012 for his long record of philanthropy and volunteer service. Married to Sandra since 1993, Brendan and his wife are the parents of four children. Brendan’s favorite way to relax is tree-planting and is building an arboretum in Fairvalley, Ontario.